There are one-to-many occasions when you feel like having Google maps on your website. While one can considerably choose to put directly if s/he knows even little coding while even if you don’t know about coding, then also with the help of plugins you can do the job with an ease. 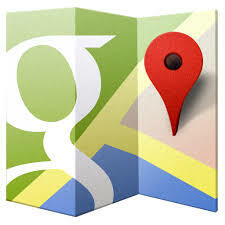 In this article, we will be sharing the best of WordPress Google Maps plugins. The plugin will enable a simple short code that you can use for embedding Google Maps in any WordPress post or page. The plugin lets you easily embed and customize Google maps on your WordPress site – in posts, pages or as an easy to use widget. The plugin is an intuitive, sleek, powerful and easy to use. Visually build powerful customized Google Maps to use on your WordPress site quickly and easily without ever having to touch a bit of code. The plugin lets you save location information with posts, pages, and other WordPress objects. These can then be presented on interactive maps in many ways. The plugin allows to associate geolocation information to your posts and to integrate your blog with Google Maps in an easy and natural way. The plugin displays a single-image super-fast loading Google map in a widget. The plugin adds a customized Google map to your WordPress posts and/or pages quickly and easily with the supplied shortcode. The plugin lets you create unlimited locations, maps and display Google Maps at a shortcode ease. The plugin lets you add a google map with locations with bubble.